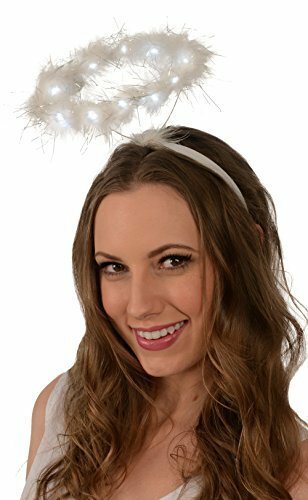 White fancy dress saint angel snow fairy Hair feather Halo. 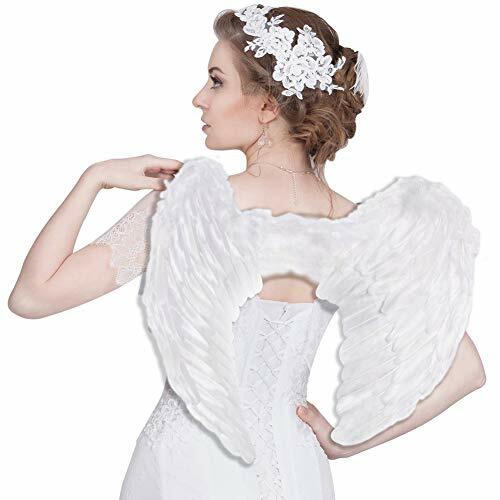 Show off your angel side this Halloween, with this soft feather Halo, a great addition to an angel costume, or works on its own. 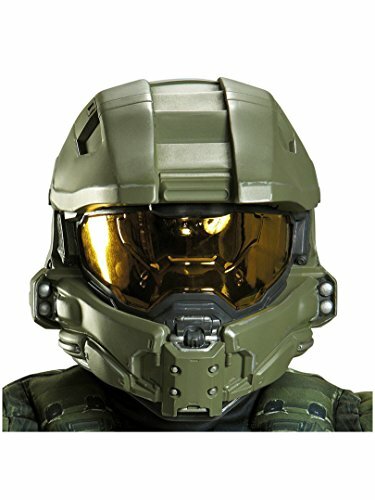 Use for: Dress Up and Costume Accessories. Great For Theater Costumes. Note:Feathers are purely natural. The density and length of the feather are different for different pcs, but does not affect the use. Handmade products vary in size, and some products may have little small flaws. We have tried our best to choose, but we cannot avoid them. Please understand. 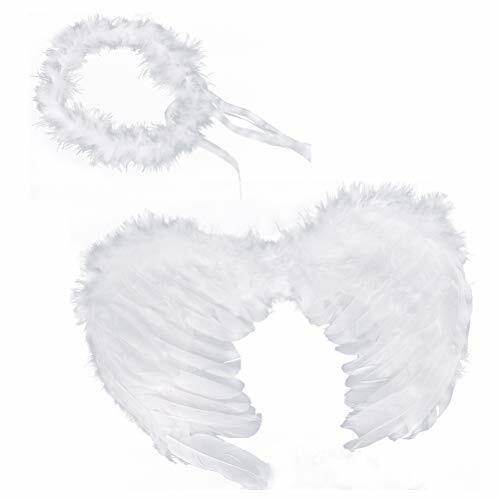 Angel Fairy Feather wings can use for all special occasions like costume party, x'mas party, sports events, dress up, masquerade party, Halloween, new years, Christmas, glamour photograph prop, dance recital, wedding and other parties to wear and also for stage performance. Easy wear: Open wings to flat position with straps facing you and then bend the wings away from you to achieve desired angled position. 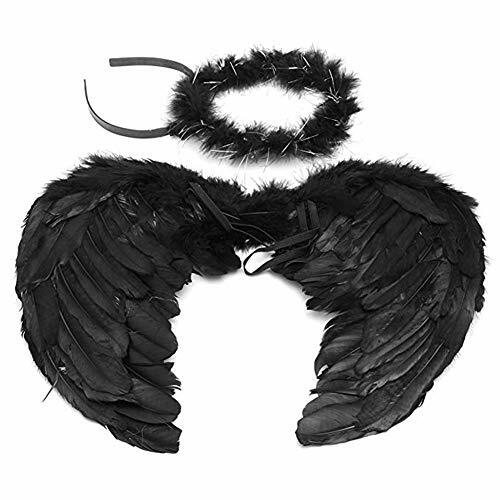 There are Two Size L: Approximate wing span (from left to right) about 23.6''/60cm across in open. Approximate wing height (from top to bottom) about 17.7''/45cm. S: Approximate wing span (from left to right) about 17.7""/45cm across in open. Approximate wing height (from top to bottom) about 13.7''/ 35cm. Warm note: The feature wing is hand-manual by worker, if happened to injury, it may be off, you can paste some glue back. 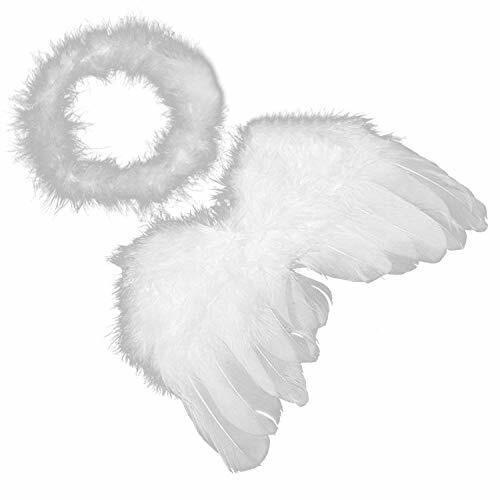 I believe, because into your love, you personally maintain angel wings, it will be better, more beautiful. 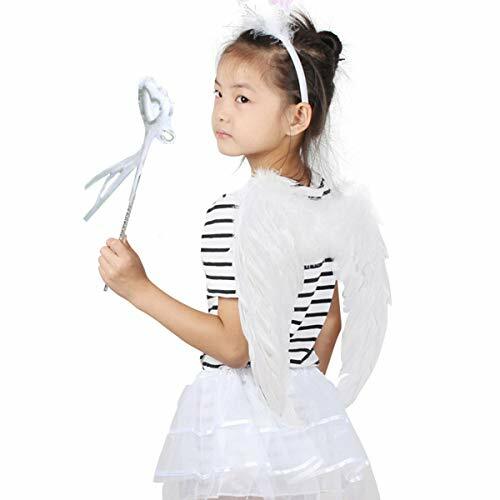 This outfit is perfect to dress up your little princess for a lovely and gorgeous look at costume or cosplay parties. 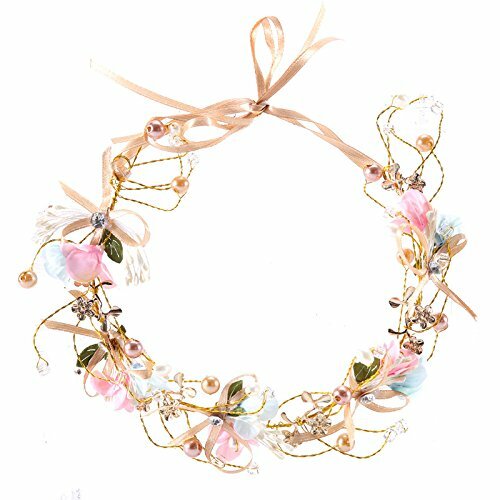 She will have so much fun in this outfit because she can be a fairy princess with these complete accessories. 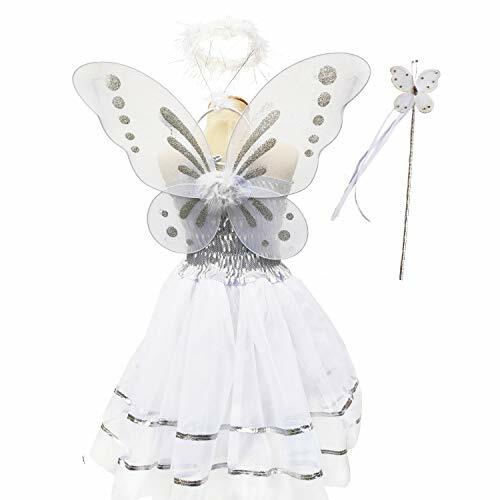 This suit is embellished with cute angel design, which make it a perfect suit for your little fairy or pixie gathering.